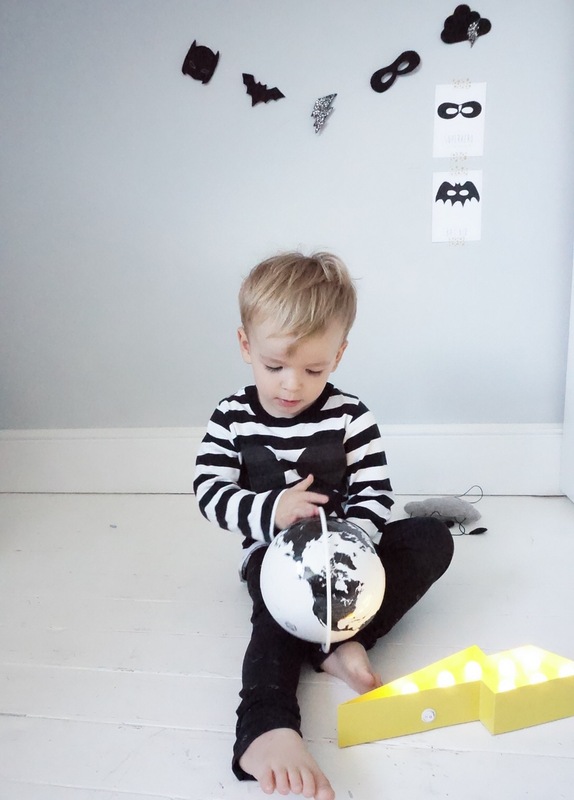 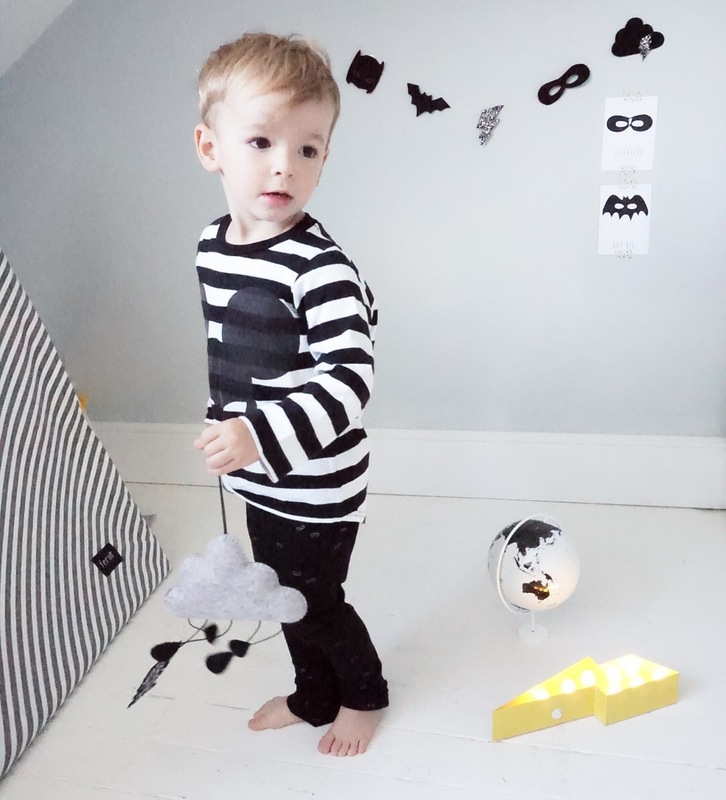 I’ve bribed my smallest boy to help me show our monochrome collection off- luckily he was decked in one of his Beau Loves outfits which was ideal! 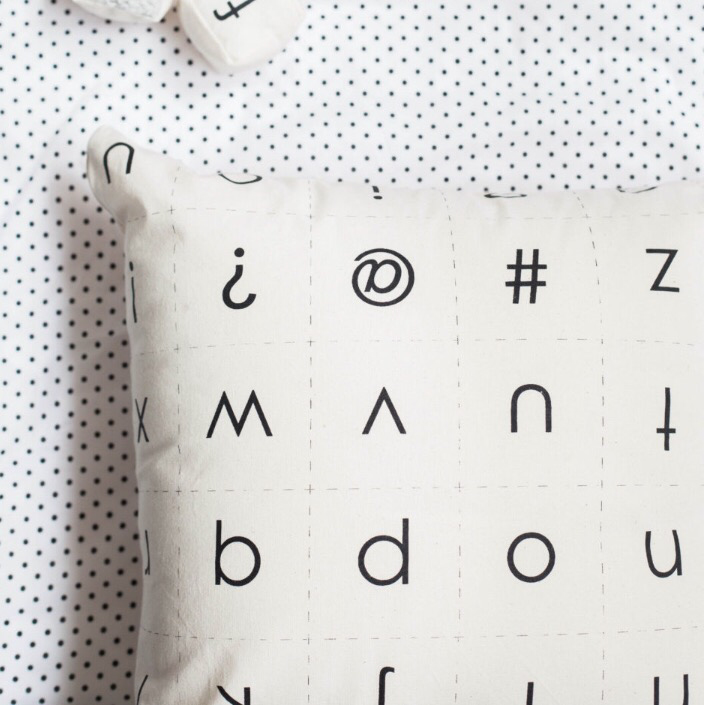 (We can’t wait for the new collection). 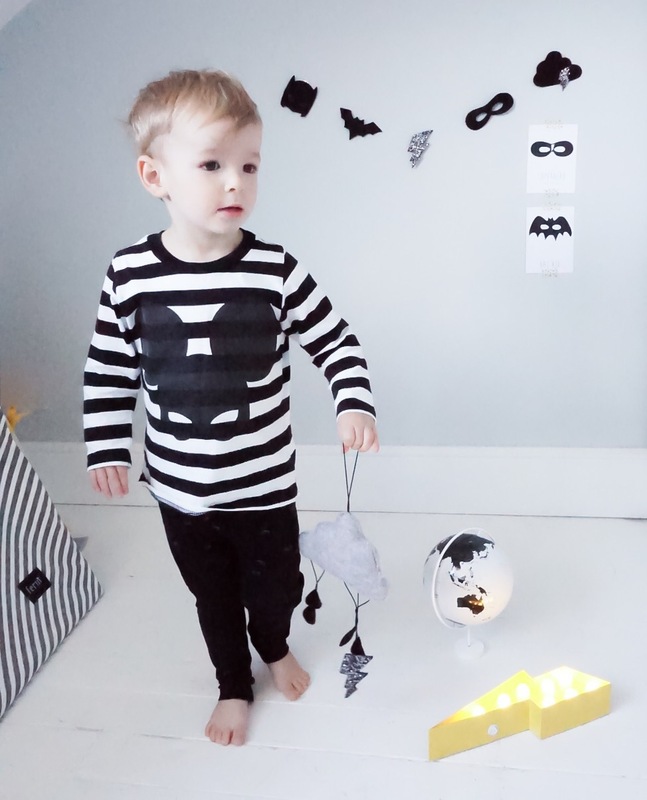 The Superhero garland was one of my very first products, two years ago. 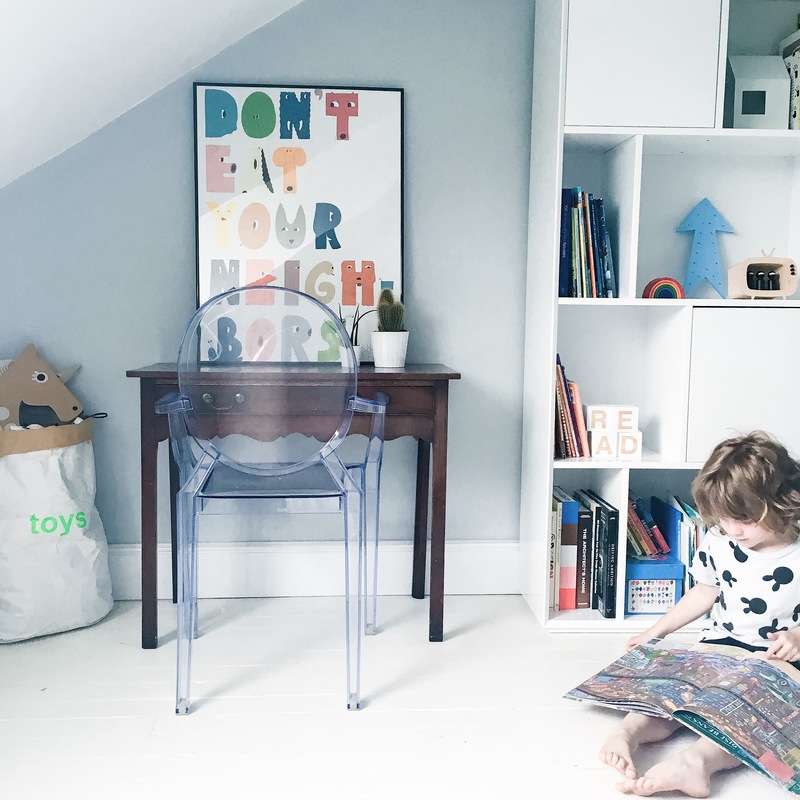 Back then it was really tricky to find monochrome kids room accessories so I decided to make my own.. which turned into this business. 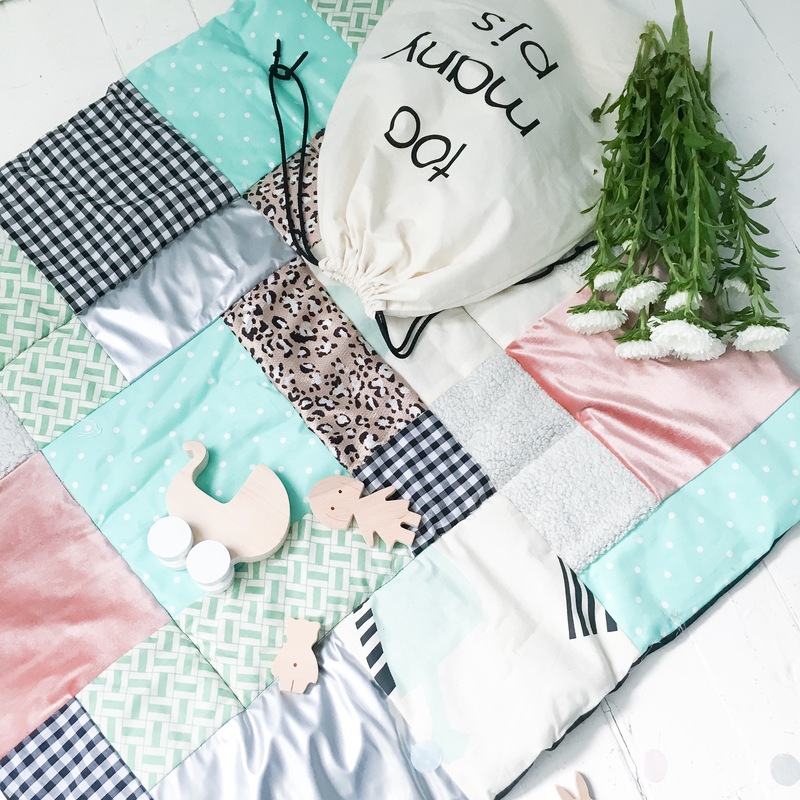 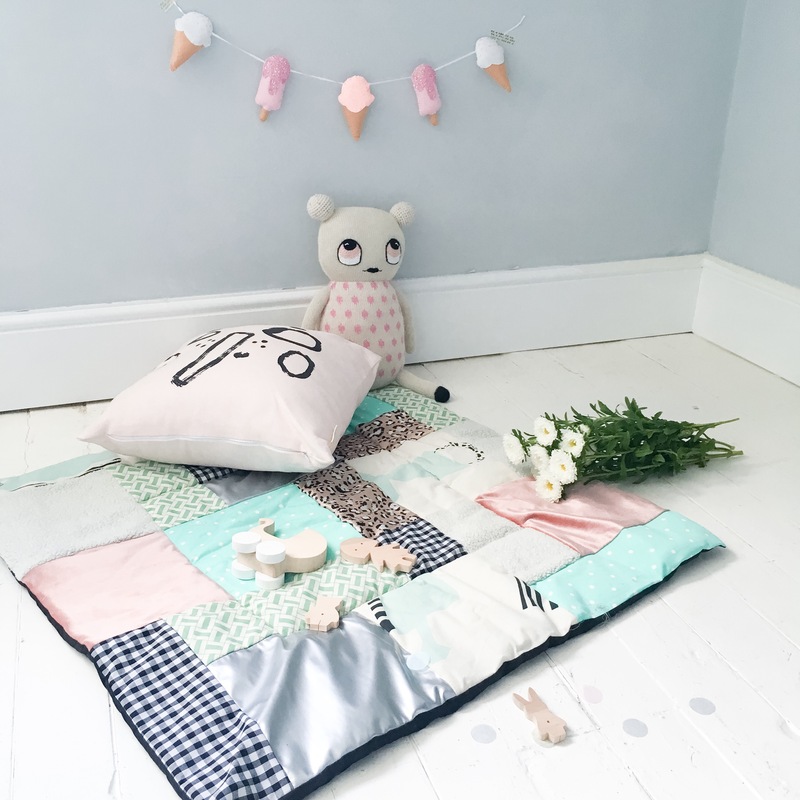 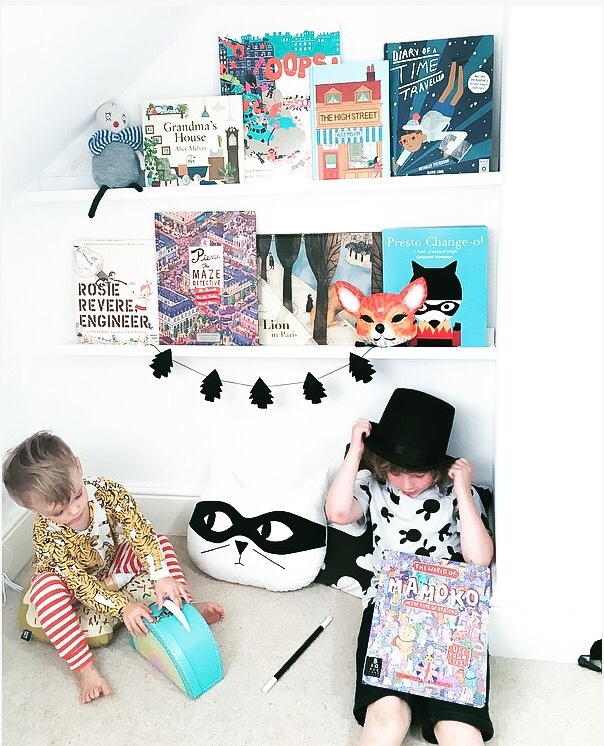 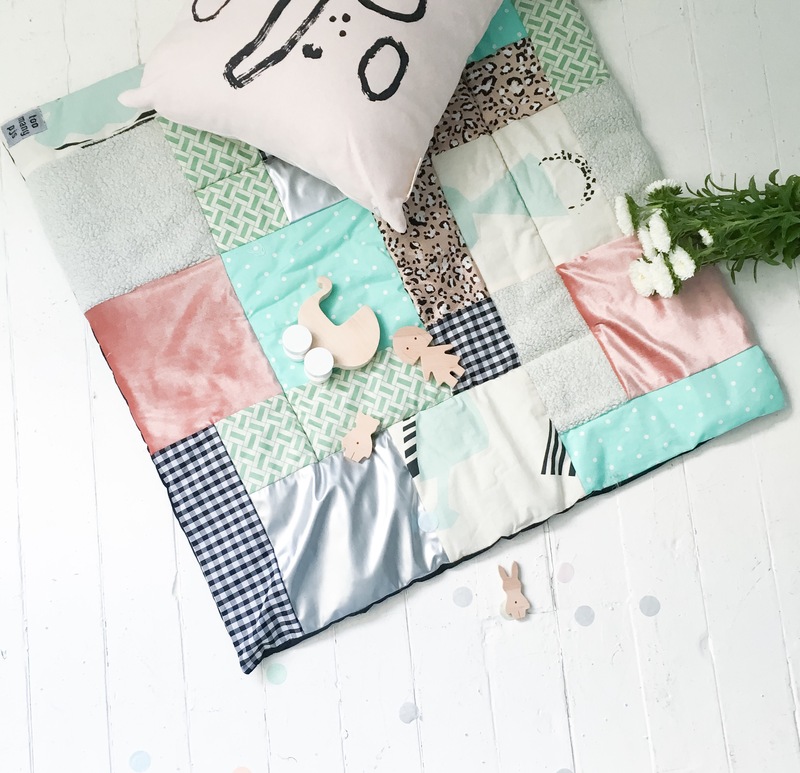 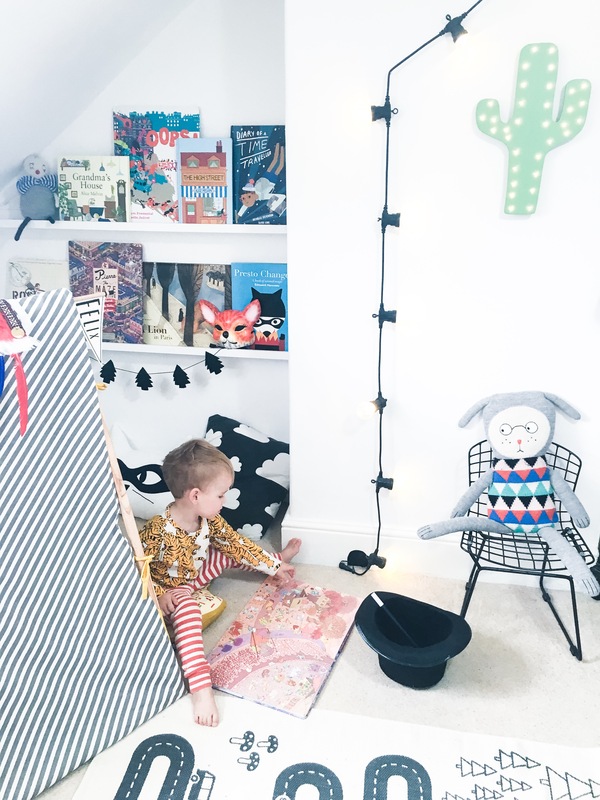 Making a kids space that brings joy to children and adults alike can be tricky, but by keeping walls and flooring clean and neutral you can add pops of colour and fun accessories. 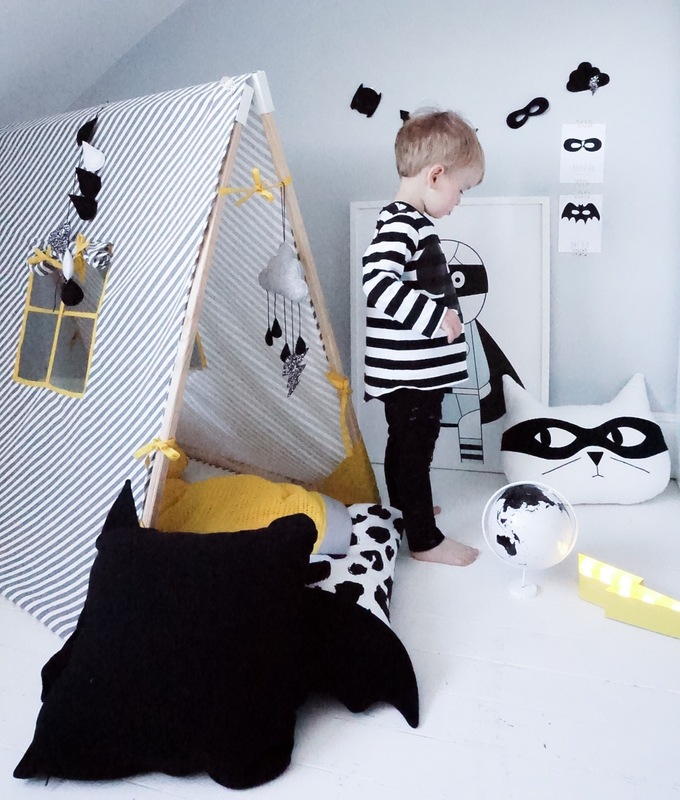 Our Ferm living tent is well loved and a few years old now, but the kids still enjoy playing in it. 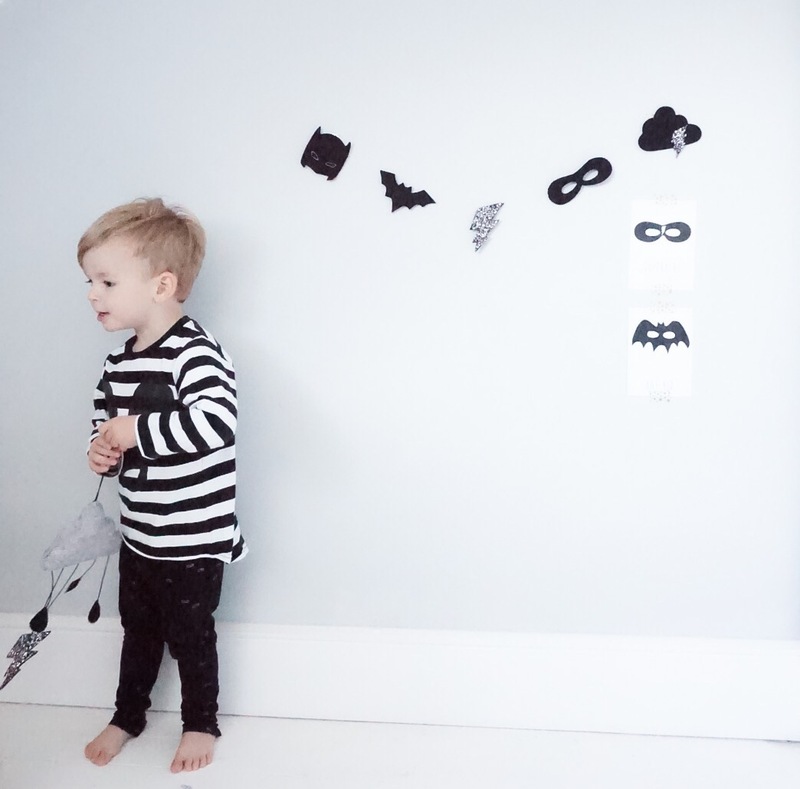 We’ve adorned ours with our monochrome droplet garland, and added a Mini Willa poster and Superhero garland to break up our grey walls. 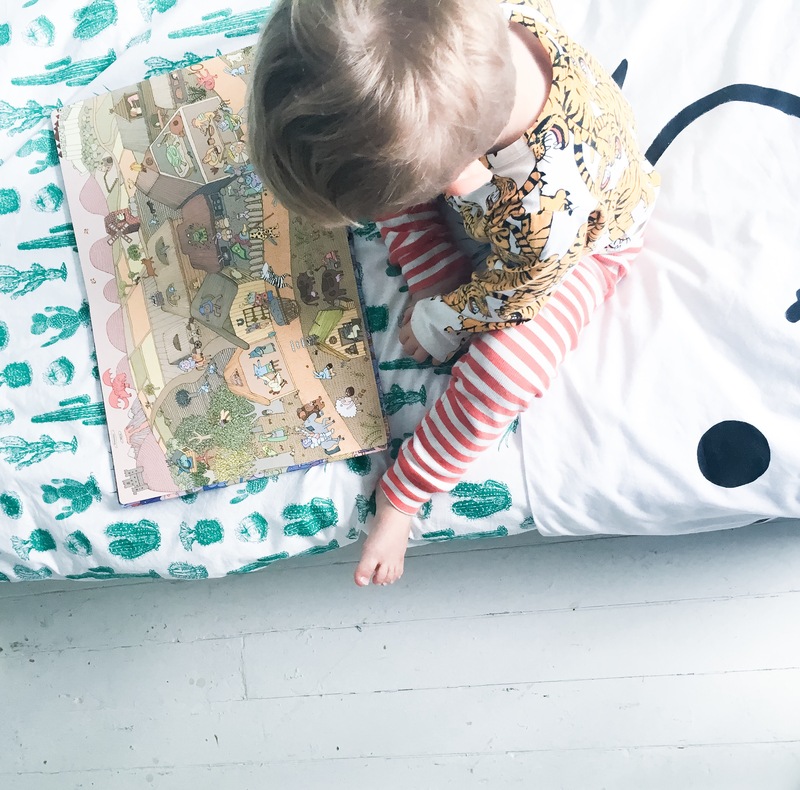 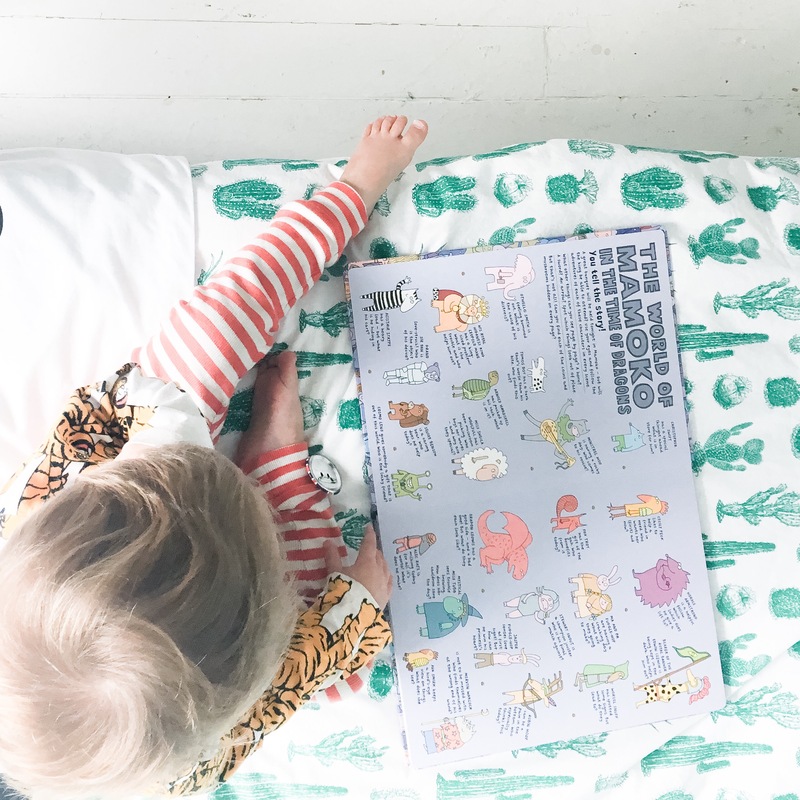 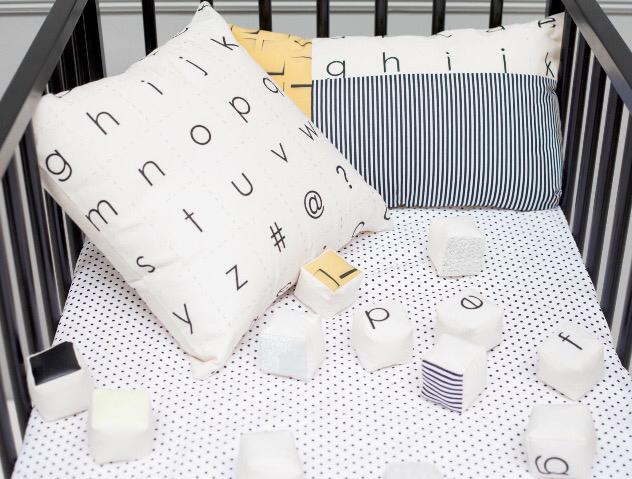 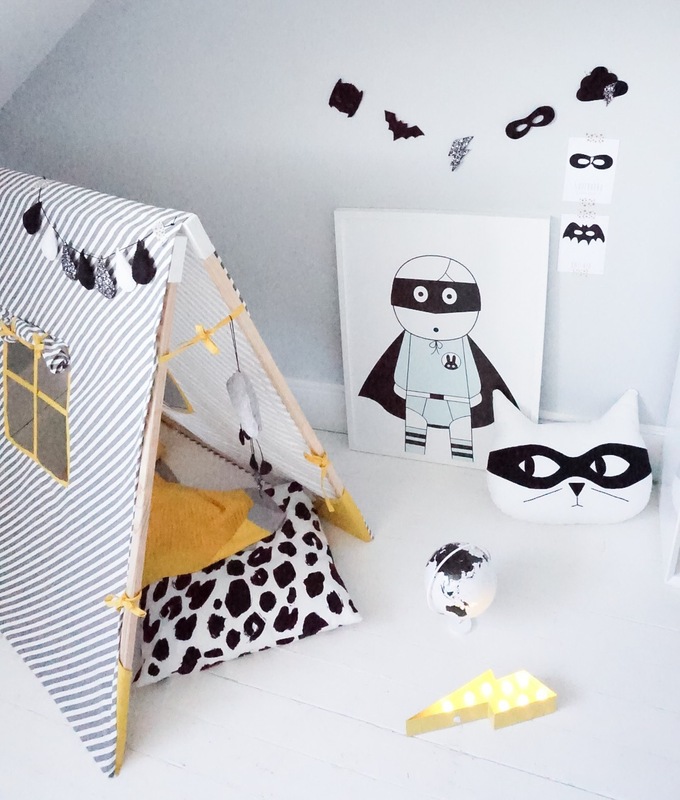 We’ve added pops of bright yellow which works so well with grey and monochrome with a Mama Designs blanket and a yellow lightning bolt light from Ivy Cabin.